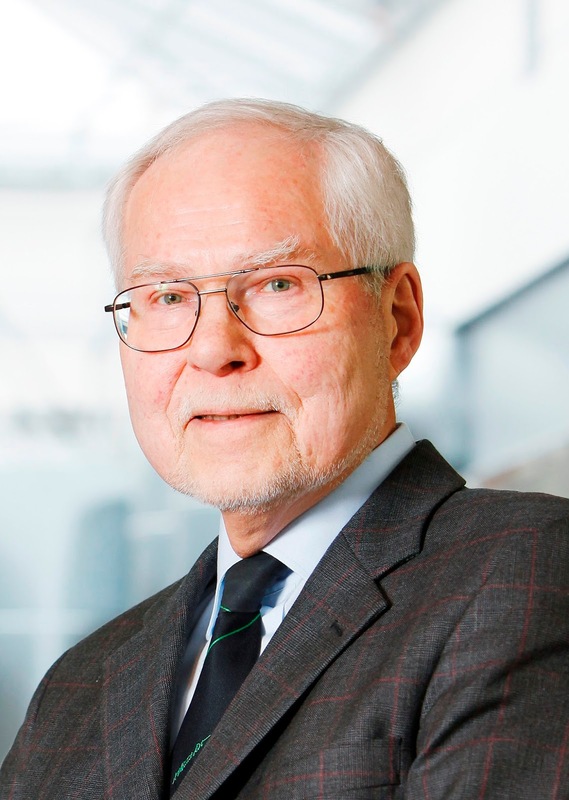 The EACPT is delighted to announce that the 2017 Lifetime Achievement Award of the European Association of Clinical Pharmacology and Therapeutics will go to Professor Pertti J. Neuvonen from Finland for his outstanding contribution to the national and international benefits of clinical pharmacology for medicine, health care and patient safety. The Award, which includes the EACPT silver medal, will be presented to Professor Neuvonen during the 13th EACPT Congress in Prague. The Congress runs from 24th - 27th June 2017. Professor Emeritus Pertti J. Neuvonen, whose research focuses on drug safety and individual variability in drug response, particularly on drug interactions and their mechanisms, is one of the most cited clinical pharmacologists in the world, with over 20,000 citations. He has been listed by Thomson Reuters for years as an ISI Highly Cited Researcher in Pharmacology. He has authored over 500 original articles and reviews. Of the original papers, 92 have been published in the journal Clinical Pharmacology & Therapeutics. He has supervised around 50 Doctoral (PhD) thesis projects. Since 1970, Neuvonen´s research group has found more than 200 previously unrecognized, clinically important drug-drug interactions and several significant food-drug interactions. Furthermore, his group demonstrated, already in the 1980-90s, the efficacy of activated charcoal as gastric decontaminator, compared with induced emesis and gastric lavage. The drug interaction studies in humans were deepened by in vitro studies to explore mechanism, predictability and avoidance of the interactions. His group observed that inhibition and induction of CYP3A4/5-enzyme could cause over 10-fold changes in exposure to several drugs (midazolam, triazolam, buspirone, felodipine, simvastatin, lovastatin). Furthermore, his group discovered among generally used drugs many previously unrecognized inhibitors of drug metabolism (itraconazole: CYP3A4; gemfibrozil and clopidogrel: CYP2C8) and unexpected victim substrates (tizanidine: CYP1A2; cerivastatin, repaglinide, pioglitazone, rosiglitazone, loperamide, montelukast: CYP2C8). In addition to drug metabolizing enzymes, also membrane transporters (e.g., OATP1B1, P-glycoprotein, BCRP), and their pharmacogenetics and interactions were found to affect pharmacokinetics (e.g., statins) and drug response. Many of the original findings made by Neuvonen and his research groups have been adopted into textbooks, guidelines (e.g., FDA) and product information texts. Pertti Neuvonen was born in Kirvu (Finland) on 25. August 1943. He is married and has five adult children. He studied medicine at the University of Helsinki between 1964 and 1970, and defended his doctoral thesis at this University in 1971. From 1971 to 1972, he was as a fellow of the Alexander von Humboldt-Foundation in Hannover Medical School (Germany). From 1972-1985, he was Senior Lecturer/Assistant Professor/Consultant of Clinical Pharmacology, and from 1986-1988 Acting Professor and Head Physician of Clinical Pharmacology at University of Helsinki and University Central Hospital, including the National Poison Information Centre. Between 1988 and 1991, he was Professor and Chairman of Pharmacology at University of Turku. From 1992 to 2011, he was Professor and Head of Clinical Pharmacology at University of Helsinki and University Central Hospital. After his retirement in 2011, he continues his studies at the Department of Clinical Pharmacology as a free researcher. In 2011, he received the BCPT Nordic Prize in Basic & Clinical Pharmacology & Toxicology, and the Medal of the FDA Office of Clinical Pharmacology. The EACPT was founded 24 years ago and now includes as members all national organisations for clinical pharmacology in Europe, as well as organisations from further afield internationally. The EACPT aims to provide educational and scientific support for the more than 4000 individual professionals interested in clinical pharmacology and therapeutics throughout the European region, with its congresses attended by a global audience. The EACPT also advises policy makers on how the specialty can contribute to human health and wealth.